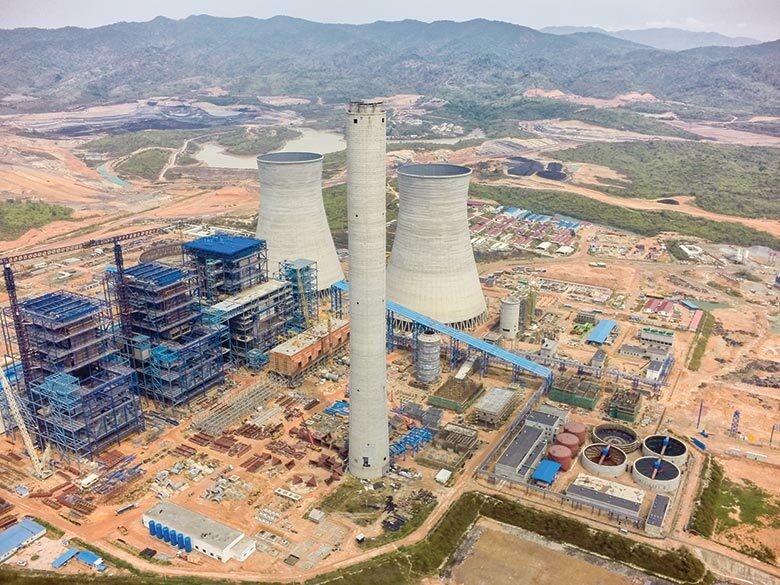 Just across the border of Northern Thailand, in the Lao Province of Xayabury, a consortium of two Thai companies, Banpu Power and Ratchaburi Electricity, along with the Lao Government are constructing one of the world’s largest new mine mouth power stations. 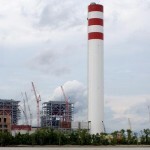 When they enter commercial operation in 2015 and 2016, the station’s three 626 MW lignite fired units will produce a combined 1,878 MW of electricity. The majority of this capacity will be destined for Thailand. The remainder will be supplied to electricity users in Laos. The new power station and its lignite mine have been constructed in a sparsely populated area with limited infrastructure. Among many other works, the developers had to build a combined 32 km of new roads through the mountainous landscape. 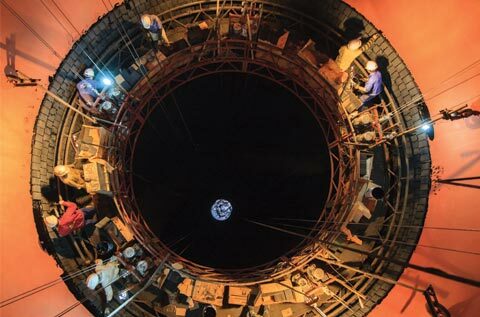 Together with the mines, water reservoirs, transmission lines and the power station itself, the combined project investment is close to the equivalent of 4 billion US Dollars. 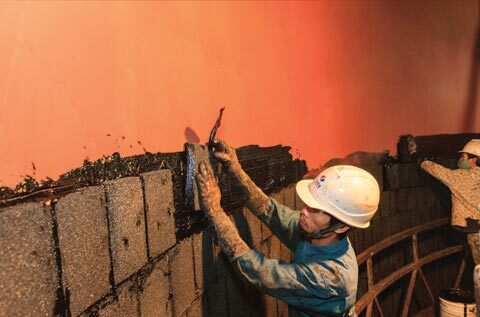 The lignite used at Hongsa Power Station has a moderate sulfur content of 0.6-0.7%. 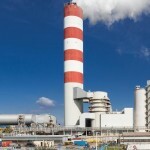 Wet Limestone Flue Gas Desulfurization (FGD) plants are used to reduce sulfur oxide emissions by 92%. 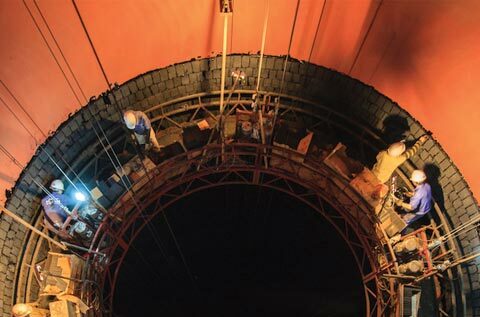 Following desulfurization in the FGD plants, the flue gas is reheated to a temperature above 80°C in rotary gas-to-gas heaters (GGH) and emitted through a 250 m high reinforced concrete chimney. 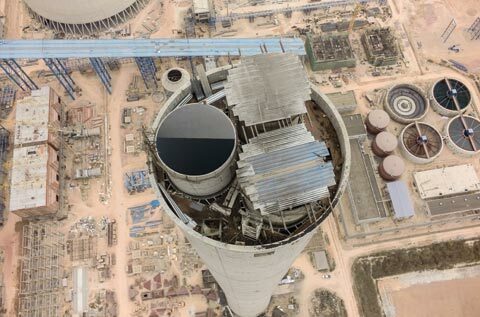 With operating temperatures well below the sulfuric acid dewpoint, the owner and his EPC contractor, China National Electric Engineering, Co., Ltd. (CNEEC) from Beijing, were well aware of the need to protect the chimney flues against a highly corrosive environment. After evaluating a number of options, it was decided to use three mild steel flues, protected internally by 18,263 m² of PennguardTM borosilicate glass block linings. Hongsa Power Station is located in a remote, mountainous landscape with a tropical climate and frequent, torrential rain showers. The PennguardTM Block Lining System is a high performance lining technology for FGD chimneys, which if correctly installed, offers a service life of 30 years or more. How could the true potential of the PennguardTM lining system be realized under the difficult conditions surrounding the Hongsa project? The EPC contractor for Hongsa, CNEEC, prepared for this challenge in close cooperation with Hadek’s technical team. CNEEC made sure that access to the steel flue walls was provided in a safe and reliable manner to allow good work flow. To keep even torrential rains out at nearly all times, CNEEC installed temporary steel roofs on the tops of the steel flues. 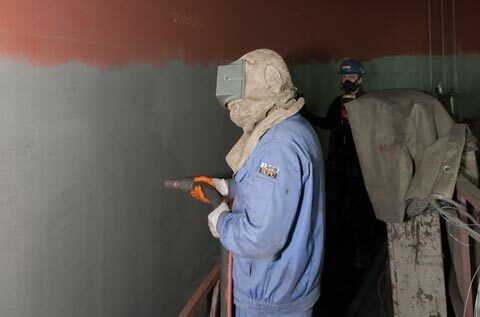 To ensure that all grit blasted steel surfaces would maintain their cleanliness and not be attacked by flash rusting, the contractor cleaned, and primer-coated, grit blasted areas at the end of each shift, followed by removal of blasting dust from all primer-coated surfaces, before the start of the installation of the PennguardTM lining. CNEEC selected a group of 24 installers who were trained by Hadek’s on site Quality Assurance Inspectors, to install PennguardTM linings to the highest quality standard. As Hadek’s QA Inspectors were on site virtually full time, it was possible to keep monitoring the installer’s work technique, and make adjustments as necessary. Working in 2 shifts of 12 hours per day, and with an average of 10 installers on the platform, the installation of the PennguardTM linings took 48 days for each of the three flues. 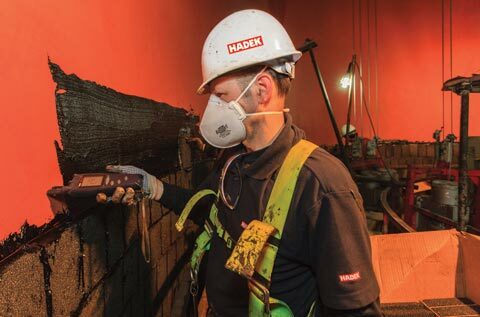 Between its offices in Rotterdam, the Netherlands and Pittsburgh, Pennsylvania (USA), Hadek maintains a group of 14 experienced QA Inspectors, who provide global technical support to PennguardTM lining installations like the one at Hongsa Power Station. 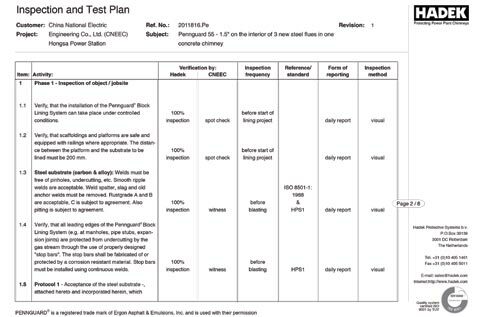 The on site presence of Hadek’s QA Inspectors gives owners and designers the assurance that the PennguardTM lining system is installed in accordance with all technical recommendations, making it a reliable, effective, virtually maintenance free corrosion protection for decades. In addition, the involvement of Hadek’s QA Inspectors presents the opportunity for EPC contractors and specialized civil and chimney contractors to carefully plan the equipment and resources that they will need for the chimney lining installation. Another very important element, especially on remote project sites, is manpower planning. Hadek’s customers frequently organize their own installation crews.Subsequently their personnel are instructed and trained by the Hadek QA Supervisors. This eliminates the need to “fly in” highly skilled workers from far away places, reducing project cost and adding some much needed flexibility. The large PennguardTM installation at Hongsa Power Station was supervised by a rotating team of 9 Hadek QA Inspectors. Hadek Inspectors were present on the Hongsa site for a combined period of 369 days. 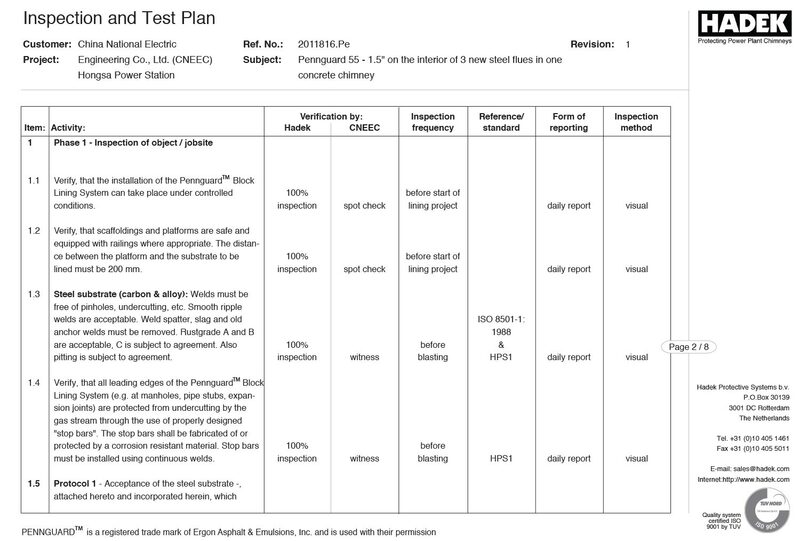 They monitored all surface preparation and lining works using a detailed, step-by-step Inspection and Test Plan (“ITP”). After the successful completion of the works, Hadek issued full QA records as well as a long term, single source limited warranty.